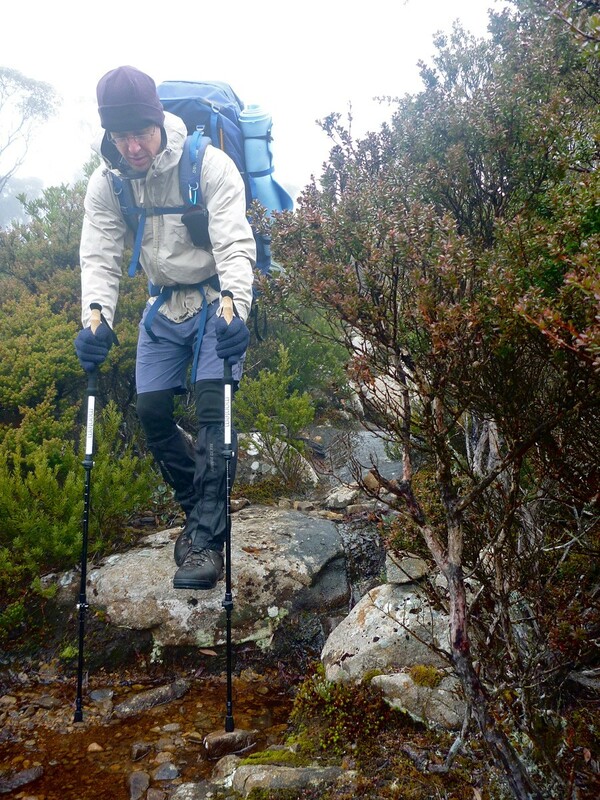 I became a full trekking pole convert about two years ago after noticing how agile another walker was on the Overland Track. I’d used one pole on-and-off for a while before that but in my earlier hiking days, being so tough and all, let’s say a little contemptuous of pole walkers. Now I carry two poles on pretty much all walks where I have a full pack and they also double as poles for my pyramid tent. 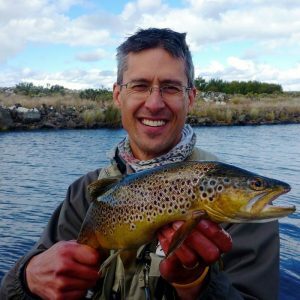 Montem are a new kid on the block as far as outdoor gear goes, starting in New York City in 2016 (so you’re excused for not having heard of them). They started out making poles, and have since branched into packs, hammocks, blankets, bags and clothing lines. 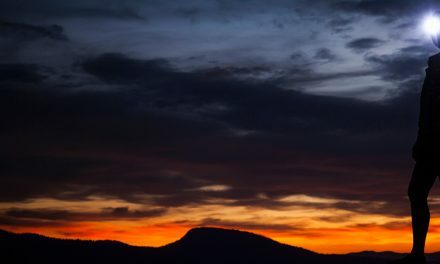 Last weekend I tested the Montem Ultra Strong Trekking Poles by putting them through their paces via one of the toughest starts of any trail I’ve ever been on, up and over the Western Tiers of Tasmania and across the plateau for a two-night hike down into Lake Nameless. A two-hour climb rated steep/hard with an ascent of 750 metres. This is the sort of terrain that trekking poles really shine on. Rocky, wet and slippery, steep up and down. They allow the arms to come into play and any weight on the arms is less weight on the feet (5kg per leg, per step, apparently). Plus there’s always two points of contact, which when balancing a full pack is welcome. Having carried some patellar tendinopathy for some years now (aka jumpers knee and a few other handles) being able to brace on poles going up and down big drops is a huge advantage. Out of the box, these aluminium poles are heavy. They don’t get their name Ultra Strong Trekking Poles through cheating the laws of physics. The alloy used stated on the poles is extra durable aluminium 7075 shafts with the standard three section compact style of telescoping poles, and what Montem describe as cutting edge flick-locks (aka cam locks). The poles weigh in at a hefty 500g per pair (kudos to Montem for rating them at 544g which I assume is the maximum weight) without the rubber tips. Poles don’t really get much heavier (our Karrimor and Fizan trekking poles are 380g and 360g respectively) but then again, needs do vary for some walkers. I know a big bloke over 110kg who walks with a broomstick and that’s not a metaphor. For some walkers who don’t drink the ultralight kool-aid then, heavy duty has its uses. I for one have certainly irreparably bent a pole as I fell through the snow on Black Bluff a couple of winters ago. While we’re talking specifications, the maximum length extended is 135cm and the minimum 61cm. 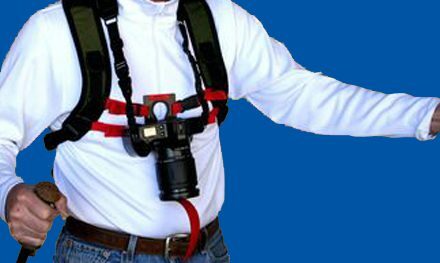 Standard wrist straps (fleece fabric stitched onto webbing) with the usual tension block locking device in the handle allowing for adjustment so that one’s weight is on the wrists rather than relying on grip strength all day. I adjust the poles so my hands are about level with my elbows, but if going uphill for a decent stretch they can be shortened, and the opposite if going downhill. The external locks (Montem calls them “flick-locks”) are a lever or cam locking system similar to the quick release on a bicycle wheel hub. A knurled bolt adjusts tension with the lever open and closing the lever tightens the sections in place. The mechanism on the Montem poles works well, although the knurled head is plastic whilst other poles have a metal head. I definitely prefer this type of lock over the twist/friction locks of earlier cheaper poles which deteriorate fairly quickly and if you can be bothered, require repairs to the internal mechanism. One interesting feature of the Ultra Strong Poles is the extra ribbed EVA foam grip underneath the standard EVA cork style handles. Apparently, this is to allow for better grip on inclines and declines but I couldn’t really see the use of them. Rounding out the features are the standard carbide tips, which can be alternatively covered with the supplied rubber knob or the plastic snow basket style tip. There is no shock absorbency built into these poles like some poles, although Montem do have one in their range which is basically the Ultra Strong plus anti-shock (for an extra 20 bucks). Also in the stable are two carbon versions and one folding version so all walkers are catered for here with price points between $50 – $70 USD. I decided to test the poles with the rubber tips provided on day one of the walk. I found I had to have a couple of goes to get the flick locks tight enough so that with all my weight on a pole it didn’t collapse inwards but once I got it right, it stayed firm. I found that the poles had sufficient flex coupled with the rubber tip to reduce impact and vibration on the hands however the rubber tips did slip on wet rock. When forcibly planting the poles there was some rattle, presumably in the flick locks although it was hard to tell where it was coming from. This was slightly annoying but happily, by day three it had gone quiet. I adjusted the straps to suit my wrists (basically just big enough to slide a gloved hand through), but while the soft fleece lining inside the webbing was very welcome on the wrists, where the webbing met the lining at the ends it felt like the stitching has been melted to finish it off and these are sharp and scratchy, which did get annoying. I may have at these with some sandpaper to see if I can sort that out because no-one needs a scratchy pole strap. The weight of the poles wasn’t a problem for me. Some might even see it as an advantage (see the Norwegian pole enthusiast movement, you can’t miss them if you see a bunch go past) in giving you an upper body workout as well. The other thing the weight gives is a confidence that you can really lean on these bad boys without feeling like they could give way and make your face intimate with a lump of dolerite. Day two I got tired of the rubber tip slipping so I removed it and went with the carbide. With the carbide, it’s so sharp that it will find the tiniest flaw in a rock and grip onto it and even if it does give, it doesn’t slip far before finding new purchase. The only downside is it’s a little jarring, but the confidence in the purchase outweighs this. 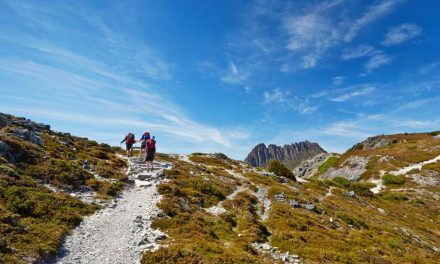 Montem’s Ultra Strong Trekking Poles are made from sleek aircraft grade aluminium. They’re heavy duty and should take a beating. I applied a lot of downward force on them over a multi-day walk and they flexed and ate it up. The design has standard tips and flick lock adjustments that work well when properly adjusted catering for all heights. Flick locks are way better than internal twist locks. The price point makes these poles very competitive as far as value for money goes. It’s hard to walk past a lifetime guarantee. The poles are heavy so for walkers keen to shed weight, look for one of the other pairs in the range. The wrist straps have scratchy bits so a little grooming might be in order. Ditch the rubber tip unless you’re walking on flat gravel and unleash the tungsten carbide. Montem’s Ultra Strong Trekking Poles are available directly from Montem online (they ship worldwide). Disclaimer: Montem supplied a pair of their trekking poles for review. This has no influence on the opinions presented in the review. Have you tried any of Montem’s range of trekking poles? Got any questions or comments? Let us know by commenting below. Summary Montem’s Ultra Strong Trekking Poles rate really well among users. They’re heavy but that also means they’re heavy duty. For hikers and walkers that require heavy duty poles (you know who you are), at this price point and construction, you probably won’t do better. Throw in a lifetime guarantee, external flick locks, interchangeable tips for every situation and sweet cork style EVA handles and you ’ll have a system that will handle pretty much everything our big backyard has to throw at you. 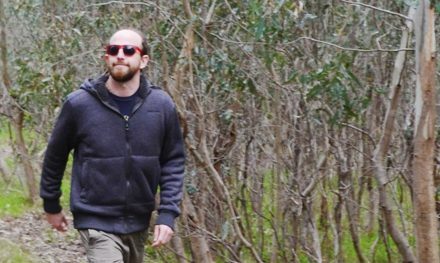 Review: Ayacucho Men’s Medino Fleece. Wow.